Microdermabrasion is a virtually painless alternative to chemical peels. The procedure is fast, predictable and painless. The Ailesbury Clinic uses the most advanced Derma Genesis Particle Resurfacing System, which provides a highly controlled flow of fine, medical grade crystals to remove the dead, outermost layer of skin and stimulates collagen production which thickens the dermis and improves resistance to the effects of ageing. This skin exfoliation process reveals the new, living skin cells that are soft, smooth and receptive to nutrients. Microdermabrasion offers instant results without any downtime. The procedure is performed by using a hand piece that the operator passes over the skin two or three times. This evenly removes the stratum corneum, the outermost layer of the skin. The underlying epidermis is also stimulated by the abrasion and vacuum. The promotes the generation of new collagen, which thickens the dermis and improves resistance to the effects of ageing. 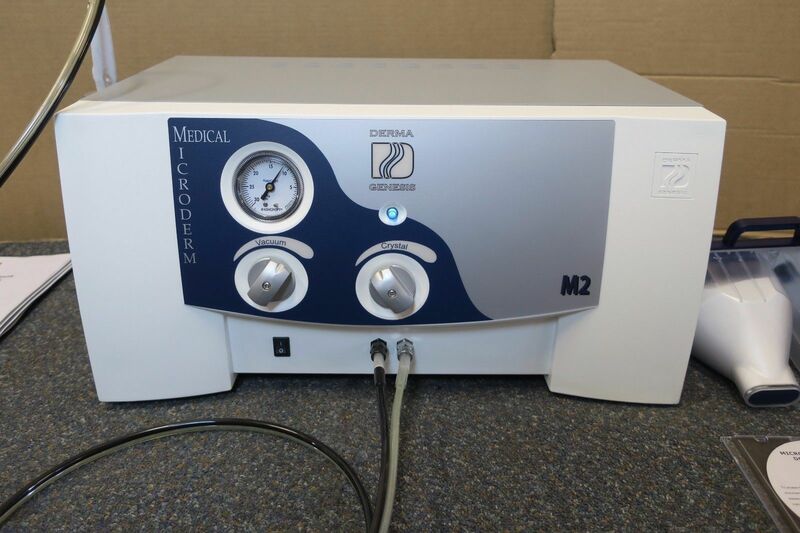 The average Microdermabrasion procedure takes less than thirty minutes, depending upon the skin condition, the area to be treated and the desired outcome. Many patients will notice improvements in the texture and appearance of their skin immediately after their first treatment. The long-term benefits of multiple procedures can be remarkable. For maximum results a course of 4-6 Microdermabrasion treatments are recommended at 2-4 week intervals. How much does the treatment cost ? Medical Microdermabrasion costs €??? per treatment. Discounts are available on packages with Buy 3 Get 1 Free. Microdermabrasion treatment can also be combined with Skin Peels for maximum results. Combining Skin Peels with Microdermabrasion price ranges from €???? per treatment depending on the type of Skin Peel.